Showing results for tags 'endurance series'. Il team Enduracers ha rilasciato per rFactor 2 la nuova versione 3.0 del suo imperdibile Endurance Series mod. L'aggiornamento include importanti migliorie sul fronte della fisica, con l'implementazione delle ultime novità sulle gomme, che Studio 397 ha installato nel proprio simulatore con l'ultimo update, inoltre sono state aggiornate anche l'aerodinamica ed il force feedback, per una esperienza simulativa ancora maggiore. Per tutti i dettagli e download dirigetevi sul sito ufficiale Enduracers, mentre per commenti e discussioni fate riferimento al forum dedicato. EnduRacers Modding Team & Gentlemen Racers are pleased to provide to you the Endurance Series rF2 build 3.00 ! The build includes an important update of the physic behavior of the car, including the last specification of the CPM tires, based on the S397 Endurance pack DLC. The FFB and the aerodynamics of the cars have been updated, as well as plenty other features. We took the opportunity to update the side WEC/LM position leds, wich are now rendering realisticly the top 3 position in each classes, like in real. We made some other graphic improvements and cured some issues like the Corvette C7R cockpit. A new build will come when the new shaders system will be made available to modders. We made an update on the Ligier JSP3 sounds, wich can be considered as intermediate and is sheduled to be improved again in an upcoming build. This modification has driven an update of all cars defaut setups, so please be carefull with your current setups before making some feedbacks. Don't forget to read carefully the instructions to install and setup correctly the mod. rFactor 2: Endurance Series Mod v2.0 disponibile! Dopo lunga attesa, il team Enduracers ha finalmente rilasciato per rFactor 2 la nuova ed attesissima versione aggiornata 2.0 del suo acclamato Endurance Series Mod, il progetto dedicato al motorsport endurance sul titolo targato Studio 397. La nuova release ci mette a disposizione numerose nuove vetture, come la Oreca 05, Ligier JSP3, Corvette C7.R, Ferrari F458 e Flat6 RSR Evo, inoltre apporta un notevole update sul fronte della fisica e del modello delle gomme. Per il download del pacchetto da ben 3,6GB correte qui, mentre per commenti e discussioni fate riferimento al forum. EnduRacers Modding Team & Gentlemen Racers are pleased to provide to you the Endurance Series rF2 build 2.00 ! After monthes of work, we are delivering the you what should be considered as the final Endurance Series release in terms of content. New cars included are the Oreca 05, Ligier JSP3, Corvette C7.R, Ferrari F458 and Flat6 RSR Evo. Check our website for all details. The build comes together with a physic update for all the cars, with in particular the introduction of CPM2 tires technology. This modification has driven an update of all cars defaut setups, so please be carefull with your current setups before making some feedbacks. Don't forget to read carefully the instructions to install and setup correctly the mod. Be carefull, the mod is big, reaching more than 3,6Gb now. Complete news : http://www.enduracers.com/newsletter_50.html We would like to thank Studio 397 for the development support ! Una gustosa novità è disponibile oggi per l'ottimo Motorsport Manager, il simulatore manageriale dedicato al mondo dei motori da corsa. 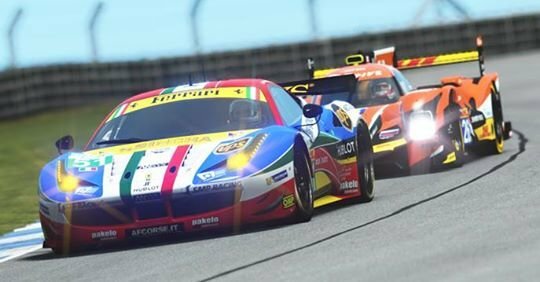 E' infatti acquistabile su Steam un interessantissimo nuovo DLC denominato Endurance Series, dedicato ovviamente al mondo delle competizioni di durata. Qui di seguito il trailer di lancio ed alcuni screenshots che mostrano i prototipi. La prova suprema per macchine e piloti Mettiti alla prova sulla distanza con un nuovo campionato endurance suddiviso in due classi. Controlla le condizioni dei piloti grazie alla nuova barra del vigore e alternali alla guida nei momenti chiave. Nuove distanze e regole di gara Guida per oltre 90 minuti, 3 ore o addirittura 6 ore di corse epiche! Sei piloti per scuderia Gestisci un gruppo di piloti e scopri chi ha forza, vigore e abilità tali da consentirti di vincere. Metti alla prova il tuo coraggio nelle qualifiche sulla media sul giro, scegliendo due piloti per vettura e facendo segnare il miglior tempo medio sul giro. Spettacolari vetture da endurance Guida questi capolavori della meccanica alla vittoria nel campionato, ammirandone le linee slanciate e lo splendido design Affronta i tuoi rivali 24 vetture prendono parte a ogni gara, sfidandosi nei tempi sul giro e cercando di lasciare alle loro spalle i rivali Nuove opzioni ERS, nuova partenza lanciata e altro ancora Un nuovo modo per giocare al tuo titolo preferito Affronta una nuova sfida in Motorsport Manager con il campionato Endurance Series. Controlla famose auto da endurance nella sfida più grande di sempre, affrontando distanze epiche e puntando alla vittoria nel campionato. Cimentati in due nuove competizioni, IEC A e B, e scopri nuove scuderie. Mettiti alla prova su nuove distanze di gara: 90 minuti, 3 ore o persino 6 ore! Gestisci 6 piloti per scuderia e cerca di trovare la combinazione perfetta per far segnare i migliori tempi sul giro. Scopri un nuovo tipo di strategia di gara controllando il vigore dei piloti, e sii pronto a prendere decisioni difficili nelle gare più lunghe di sempre. Progetta le tue vetture con l'obiettivo di rendere resistenti e veloci, mettendole poi alla prova in condizioni interamente nuove. Le nuove regole, come le qualifiche sulla media del giro, ti presentano una nuova sfida, nel tentativo di realizzare una scuderia che risulti più efficace della somma delle sue parti. Scopri i punti di forza dei tuoi piloti per fare in modo che rendano al massimo, abbassando i tempi sul giro. Metti a punto la vettura, concentrandoti su un pilota in particolare o cercando un punto di equilibrio che si adatti a tutti. Entra in azione, prendi il controllo, conquista la vittoria. endurance series rFactor 2: Endurance Series v1.50 by Enduracers disponibile! Il noto modding team Enduracers ha appena rilasciato per rFactor 2 la nuova versione aggiornata 1.50 del suo imperdibile Endurance Series Mod ! La nuova release porta con sè tantissime migliorie sul fronte grafico, per sfruttare le DirectX 11 recentemente implementate da Studio 397, ma anche migliorie alla fisica delle vetture. Per tutti i dettagli e links per il download (da ben 3Gb !) correte sul forum. EnduRacers Modding Team & Gentlemen Racers are pleased to provide to you the Endurance Series rF2 build 1.50 ! After the recent update of rFactor 2 to the DX11 technology, driver by the new dev team Studio 397, it was necessary to update the mod, specially on the graphic side, in order to enjoy the best possible experience and allow the MOD to take benefits of it. We have updated the bodywork shaders, rims shaders, and cockpit displays (rpm leds or motec devides) shaders. The team used this opportunity to add in this build a physic update for all the cars, correcting the inertia value. This modification has driven an update of all cars defaut setups, so please be carefull with your current setups before making some feedbacks. Don't forget to read carefully the instructions to install and setup correctly the mod. Be carefull, the mod is big, reaching more than 3Gb now. Forum topic for help and comments -> http://www.drivingitalia.net/forum/index.php?showtopic=70981&page=3#entry837991 Complete NEWS : http://www.enduracer...sletter_47.html EnduRacers Modding Team & Gentlemen Racers are pleased to provide to you the Endurance Series rF2 build 1.00 ! After monthes of work, this first rF2 release will allow you to continue the endurance racing adventure starting on rFactor1 years ago. The build take benefits of the first Flat6 Series releases, to provide you an achieved material at first time. The mod comes with 10 different 3d models, around 400 reproduced real paint shemes, accurate cars reproductions, can it be in graphics, sounds and physics handlings. Cars are taking advantage of the whole rF2 technology such as animated driver, deformable tyres, advanced physics and tyres behavior, and of course a complete refreshment of the reflects, lights and shadings compared to the rF1 version. Don't forget to read carefully the instructions to install and setup correctly the mod. Be carefull, the mod is big, reaching almost 3Gb in this first release. As we already communicated, some cars are available in the build 1.00 (F430 & Flat6 RSR) and are planned to be replaced by more up to date models. MOD - FEATURES * Graphics : High fidelity 3D models, with high definition cockpits. * Graphics : Hundred's of real paints reproduced for each cars. * Graphics : Highly improved car materials, reflections, lightnings and shadings. * Graphics : Animated car driver, with high definition 3D Helmet. * Graphics : Cars details with backfire, headlights with lens flares, deformable tyres. * Graphics : Specific mod UI, to be downloaded and installed separately. * Physics : Accurate car physics, created in collaboration with Gentlemen Racers physics team, with help from real teams and drivers. * Physics : Up to date rF2 physics features for all cars. * Sounds : Accurate and detailed sounds for all cars and engines. * Sounds : Up to date rF2 sounds features for all cars. MOD - WORK IN PROGRESS (not included in build 1.00) * Dynamic dirt on cars. * Tire new CPM model. * Damage fine tuning (Not correctly yet implemented in rF2). * Animated wipers in cockpit (Not correctly yet implemented in rF2). * Heat effects. * FuelMixture. 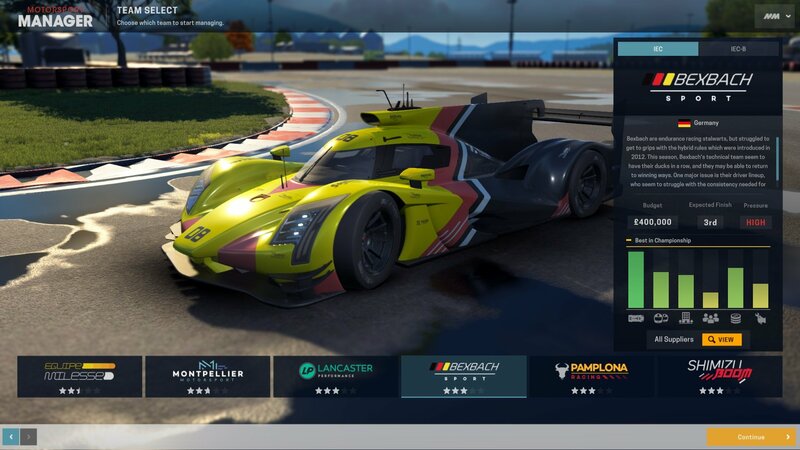 MOD - DOWNLOAD RFCMP IN PARTS (for slow connexions) * Endurance Series rF2 build 1.00 rfcmp 1/15 : http://www.mediafire...F2-v100.zip.001 * Endurance Series rF2 build 1.00 rfcmp 2/15 : http://www.mediafire...F2-v100.zip.002 * Endurance Series rF2 build 1.00 rfcmp 3/15 : http://www.mediafire...F2-v100.zip.003 * Endurance Series rF2 build 1.00 rfcmp 4/15 : http://www.mediafire...F2-v100.zip.004 * Endurance Series rF2 build 1.00 rfcmp 5/15 : http://www.mediafire...F2-v100.zip.005 * Endurance Series rF2 build 1.00 rfcmp 6/15 : http://www.mediafire...F2-v100.zip.006 * Endurance Series rF2 build 1.00 rfcmp 7/15 : http://www.mediafire...F2-v100.zip.007 * Endurance Series rF2 build 1.00 rfcmp 8/15 : http://www.mediafire...F2-v100.zip.008 * Endurance Series rF2 build 1.00 rfcmp 9/15 : http://www.mediafire...F2-v100.zip.009 * Endurance Series rF2 build 1.00 rfcmp 10/15 : http://www.mediafire...F2-v100.zip.010 * Endurance Series rF2 build 1.00 rfcmp 11/15 : http://www.mediafire...F2-v100.zip.011 * Endurance Series rF2 build 1.00 rfcmp 12/15 : http://www.mediafire...F2-v100.zip.012 * Endurance Series rF2 build 1.00 rfcmp 13/15 : http://www.mediafire...F2-v100.zip.013 * Endurance Series rF2 build 1.00 rfcmp 14/15 : http://www.mediafire...F2-v100.zip.014 * Endurance Series rF2 build 1.00 rfcmp 15/15 : http://www.mediafire...F2-v100.zip.015 MOD - INFORMATIONS * Endurance Series rF2 MOD Information : http://www.enduracers.com/esrf2.html * Endurance Series rF2 MOD Installation : http://www.enduracer...oads_esrf2.html * The cars has been beta tested on several hardware and driving wheels brands (Logitech G25/27/DFGT, Thrustmaster T300/T500, Fanatec ClubSport) and is calibrated to work with all. * If needed you can adjust FFB power using the FFB Upgrade in game tuning options of the car. CAR PHYSICS - INFORMATIONS * Tires wear on standard tracks : 1h SOFT, 2h MEDIUM, 3h HARD. * BOOST is available on all cars (But not yet feature FuelMixture wich is in progress for next build). * Traction Control is available on GTE & P2 cars. UPGRADES - INFORMATIONS * It's recomanded to open the Upgrades (via TUNNING of the ShowRoom) for each cars. * There are graphical upgrades like customised mirrors for unique display screens, and physics upgrades to adjust the FFB power. SETTINGS - INFORMATIONS * Think about checking and adjusting your FFB Minimum Torque in the Controls Setting panel in the game. Increase it until you get light ocillations to avoid the low force in the middle gap. MOD - FEATURES * Graphics : High fidelity 3D models, with high definition cockpits. * Graphics : Hundred's of real paints reproduced for each cars. * Graphics : Highly improved car materials, reflections, lightnings and shadings. * Graphics : Animated car driver, with high definition 3D Helmet. * Graphics : Cars details with backfire, headlights with lens flares, deformable tyres. * Graphics : Specific mod UI, to be downloaded and installed separately. * Physics : Accurate car physics, created in collaboration with Gentlemen Racers physics team, with help from real teams and drivers. * Physics : Up to date rF2 physics features for all cars. * Sounds : Accurate and detailed sounds for all cars and engines. * Sounds : Up to date rF2 sounds features for all cars. MOD - WORK IN PROGRESS (not included in build 1.00) * Dynamic dirt on cars. * Tire new CPM model. * Damage fine tuning (Not correctly yet implemented in rF2). * Animated wipers in cockpit (Not correctly yet implemented in rF2). * Heat effects. * FuelMixture. MOD - INFORMATIONS * Endurance Series rF2 MOD Information : http://www.enduracers.com/esrf2.html * Endurance Series rF2 MOD Installation : http://www.enduracers.com/downloads_esrf2.html * The cars has been beta tested on several hardware and driving wheels brands (Logitech G25/27/DFGT, Thrustmaster T300/T500, Fanatec ClubSport) and is calibrated to work with all. * If needed you can adjust FFB power using the FFB Upgrade in game tuning options of the car. CAR PHYSICS - INFORMATIONS * Tires wear on standard tracks : 1h SOFT, 2h MEDIUM, 3h HARD. * BOOST is available on all cars (But not yet feature FuelMixture wich is in progress for next build). * Traction Control is available on GTE & P2 cars. UPGRADES - INFORMATIONS * It's recomanded to open the Upgrades (via TUNNING of the ShowRoom) for each cars. * There are graphical upgrades like customised mirrors for unique display screens, and physics upgrades to adjust the FFB power. SETTINGS - INFORMATIONS * Think about checking and adjusting your FFB Minimum Torque in the Controls Setting panel in the game. Increase it until you get light ocillations to avoid the low force in the middle gap. Arriva oggi la buona notizia che gli appassionati di rFactor 2 e gare endurance attendevano da tempo: il team Enduracers ha in pratica completato lo sviluppo dell'atteso Endurance Series Mod per l'ultimo sim targato ISI, con il rilascio del progetto non ancora fissato, ma previsto nelle prossime settimane. Nell'attesa gustiamoci questi quasi 30 nuovi screens ! Our screen maker CpR took a bit of his time to deliver you some up to date screenshots of the mod build 1.00. A good way to see a new body shader in use for the mod first releast, and that should be used by the Flat6 Series rF2 mod on a later coming update. This should be our last media communication before the mod build 1.00 release, as the mod should be ready in the upcoming weeks. As usual, no need to ask for any release date, you won't get any answer. Stay tuned ! Il team Enduracers ci aggiorna sullo sviluppo dell'attesissimo Endurance Series mod in lavorazione anche per rFactor 2. Non mancano oggi, oltre ai dettagli sul lavoro in corso su nuove vetture, anche alcuni spettacolari screens di anteprima. We have updated the Endurance Series rF2 website page, to fit the last announcements with the new cars added. The screenshots use are released in the mod album, as they are pretty cool. The Ligier JSP2 made his shakedown this weekend, together with some Gibson 015S and Oreca 03 weapons, in his full matte carbon livery. Car will now receive some fresh paintings, while the team is still finetuning the look of the v1.0 cars ! Il team Enduracers ci mostra oggi i primi screens di anteprima dedicati all'attesissimo Endurance Series Mod in fase di sviluppo per rFactor 2. Le immagini ci mostrano in pista la Aston Martin V8 Vantage GTE, l'Oreca 03, la Zytek, la Corvette C6R ZR1 e la Flat6 GTC (ovvero la Porsche). After several weeks of development, the Team today unveils the first ingame previews of the Endurance Series rF2 mod. Note that the we are still in works on the cars, so the screenshots diffused may not reflect the final quality of the mod. On these screenshots, you can see the Aston Martin V8 Vantage GTE, the Oreca 03, the Zytek, the Corvette C6R ZR1 and the Flat6 GTC. The mod development is good at the moment, we are still in process for the new rF2 features. As announced, we are looking for new talents to help the team build new cars for the MOD, specially in 3D modeling process. If you are skilled and motivated, do not hesitate to contact us and try your best to join the team ! Thoose cars are going to be released on the platform rFactor1 under the name "Endurance Series SP3". The Endurance Series mod will be then ported on the platform rFactor2 by ISI. It will include cars from the rFactor1 version and 2 more cars. The mod will be then considered as finished. Previously, to learn the platform, the team will release the mod "Flat6 Series" on the platform rFactor2. The shedule is the following one : Development and release of the Endurance Series SP3 for rFactor1. Development and release of the Flat6 Series mod for rFactor2. Development and release of the Endurance Series mod (carlist to be unveiled later) for rFactor2. Why rFactor2 ? This is currently the only new platform wich simulates endurance racing features. In addition, the game is now more stable than month ago. The dev team has released the modding tools and keep improving them. The team will anyway keep an eye on the other platforms developments. Endurance Series: la MC12 in arrivo! Dopo una prima immagine che aveva già scatenato i primi sospetti, il team Enduracers ci conferma ufficialmente oggi il prossimo arrivo della spettacolare Maserati MC12, che sarà inserita nel già noto ed apprezzato Endurance Series mod per rFactor. EnduRacers today confirms that the Maserati MC12 joins the grid of the Endurance Series mod. The car is under development and will be released together with the other cars unveiled since the SP2.1 release, in packages and platforms yet to be announced. Il team Enduracers continua lo sviluppo del suo sempre ottimo Endurance Series Mod per rFactor e ci mostra infatti oggi una nuova serie di screenshots di anteprima che ritraggono anche la nuovissima Lola Coupe LMP2 di prossimo arrivo. EnduRacers unveils a new addition to the Endurance Series mod future releases, as the Lola Coupe LMP2 enters the grid. The LMP2 weapon of choice was introduced in 2008, and has been since then one of the fastest LMP2 car and a car used by several different teams, with a lot of different engines. We have developped all the specifications from 2008 to 2011, and all existing engines. The car is developped with a very detailled cockpit for a perfect immersion. Se ne parlava da un pò sui social network ed oggi è arrivata finalmente la conferma ufficiale del team Enduracers: saranno disponibili prossimamente per l'Endurance Series Mod di rFactor le nuove Zytek 07 e Ginetta Zytek 09! Gli Enduracers approfittano poi dell'occasione per mostrarci anche alcuni screens della Lola Aston-Martin LMP1. It wasn't anymore a secret for our Facebook fans but it's now official, the Zytek 07s and Ginetta Zytek 09s are unveiled, to replace the 06s in the future of our mod. The complete news and screens are on our website at this link. 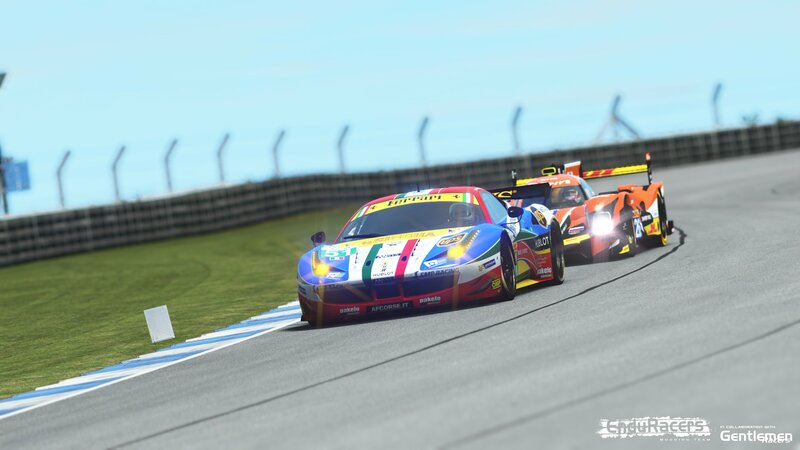 Una graditissima sorpresa arriva oggi dal team Enduracers, che ha rilasciato un nuovo addon per il suo imperdibile Endurance Series SP2.1 Mod di rFactor: è infatti disponibile il Flat6 Series Skinpack, un pacchetto extra di skin grafiche per la vettura Flat6 (che sarebbe la Porsche GT3), dedicato ai vari campionati europei monomarca della casa tedesca. Non mancano ovviamente i campionati italiani, con le vetture di nomi ben noti, come Alessandro Balzan o Daniel Mancinelli. Following the recent release of the Endurance Series SP2.1, EnduRacers is now delivering to you the Flat6 Series skinpack for the Endurance Series mod ! The package features the Flat6 GT3 car, part of the GTC Class of the Endurance Series mod, sublimating the car into monotype series for close battles. The packages includes more the 350 fictionnal paint shemes based on fictional championships all around the world. 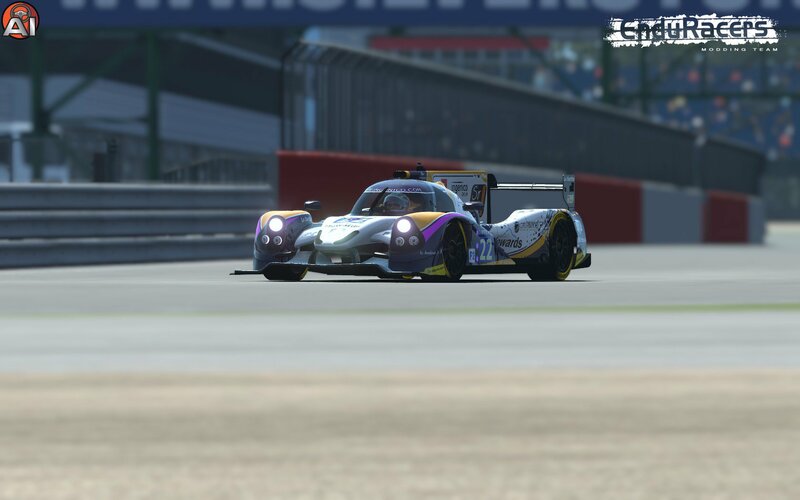 The skinpack can be used within the Endurance Series mod, or as standalone. A presentation page has been uploaded on our website to introduce you everything in details. The car templates will be released in few days for both Endurance Series and Flat6 needs. In anticipo rispetto a quanto pensavamo, gli EnduRacers hanno pubblicato il Service Pack 2.1 per il loro eccezionale mod Endurance Series. Questo pacchetto altri non è se non una patch, piccola nelle dimensioni (sono infatti soltanto 320 MB), ma assai ricca nei contenuti: non solo va ad aggiungere un nuovo modello 3D e diverse nuove livree, ma interviene anche sulla fisica, andando così a raffinare ulteriormente il lavoro fatto in precedenza. Se avete già installato questo mod sulla vostra copia di rFactor vi consigliamo di procedere senza ripensamenti al download di questa patch. Se invece ancora non avete mai provato il lavoro degli EnduRacers pensiamo sia giunto il momento per farlo: da solo è uno di quei mod che vale l'acquisto di rFactor. All'interno dello spoiler potete leggere il comunicato ufficiale.